Professor Barragán, conclude his Career Development Award by successfully receiving his Screendance Certification from the University of Utah Modern and Ballet Departments Graduate Screendance Certification Program. Where he was a guest ballet professor in both Ballet and Modern Departments, and guest choreographer for the Utah Ballet. 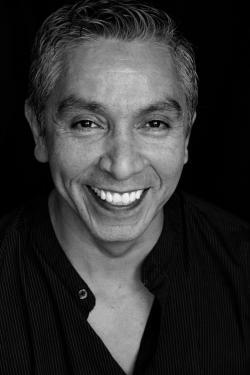 Barragán received a choreographer fellowship from the National Endowment for the Arts and the Boise Arts Council, he was awarded the Lifetime Career Fellowship by the Idaho Commission of the Arts and recipient of the Career Development Award. As an international choreographer, Barragán has been invited to present his choreographic works at the 50th Anniversary Gala of the American Dance Guild, the National Conservatory of Dance and Music in Paris, France, at the 4th and 5th International Dance Festival in New York City, at the Latin Choreographers Festival in NYC. He was the only Mexican choreographer living outside of Mexico who was invited to participate in the celebration of the Bi-Centennial of the Independence and Centennial of the Mexican revolution. He was commissioned to create new works for the National Ballet of Mexico in collaboration with Ballet Pro/Musica in Arizona, the Beijing Dance Academy. He has also been commissioned by the Richmond Ballet, National Ballet de Puerto Rico, American Dance Repertory Company, Utah Ballet, Ballet Real de Costa Rica, Dance Theater of Oregon, Ballet Theater of Spokane, American Festival Ballet, Apoc – Apoc from Mexico City, and for the National School of Classical and Modern Dance, a part of the National Institute of Fine Arts – Mexico, City. Mr. Barragán has taught Master Classes at the Beijing Dance Academy- China, Fiorello H. Laguardia High School of Music, National Conservatory of Dance and Music in Paris, France, Jose Limon Dance Company, The National Ballet of Mexico, National Ballet of Panama, National Ballet of Puerto Rico, American Collegiate Dance Festivals, and the National School for Classical and Modern Dance in Mexico City, the University of the Americas-Puebla-Mexico, Southern Methodist University, and the University of California, Irvine. His professional career began with Joffrey II and the Washington Ballet before he became a soloist for Compañía Nacional de Danza in Mexico City. His career led him to Europe where he was a soloist for the Ballet Royal de Wallonie, and Mainz Stattheater. He then returned to Mexico to perform as a soloist for Ballet de Monterey and Compañía Nacional de Danza. Eloy was a Principal dancer, regisseur, and Ballet Master from for Eugene Ballet and Ballet Idaho.